The second thought comes about due to 2 reasons. 1. I recently learned that the Aussie Cricket Board employed the help of the Boston Consultancy Group (a fairly big company), who then came up with the idea of the World Test Championship, whereby the teams play each other during a course of 3-4 years. What utter stupidity! I’m not sure whether’s its in this blog or in some forums, but I’ve always advocated the idea of the Test Championship for nearly 2 years since it will ensure that there will be an interest in matches played between, say New Zealand vs England for a South African, since the result might affect his team. They could’ve just got the idea from me. All I would’ve asked is to give me credit, and wouldn’t have charged a cent! 2. I was quite shocked by some of the stupid things Mike Proctor has done. Keeping JP in the side was a big big mistake! By doing this, they’re effectively sending a message that “we don’t care if you lost your place because you got injured, that’s your fault”. It might even lead to a possible situation where players might fake full fitness in the fear of losing their place. Secondly, which stupid decides to give the captaincy to a guy whose coming back into the team and who is going to bat in an unfamiliar position? They could’ve just given it to Boucher or Kallis at the first instance rather than giving it to Prince and then to Kallis. It really does smack of utter stupidity! Really, I just wish administrators would grow up. Heck, I though that my future path would be to work in the financial industry and blogging about cricket, but, looking at how pathetic administrators are, I suppose that I could fancy becoming one myself (subject to whether I have the right contacts!). Despite nearly looking and feeling like a zombie today morning, I somehow managed to get myself to watch history in the making as Hashim Amla hit the winning runs to inflict the first series defeat for Australia @ home since Richie Richardson’s West Indies beat AB’s boys in the 1992/1993 season. It was truly magnificent, and I have to say, it is extremely amazing and nice to see Graeme Smith’s boys winning it, them being the truly deserving victors. It all started, IMO, with that amazing reguard by JP and Steyn. I had to admit that, by then, I actually felt kinda’ strange seeing the Aussies getting thrashed, ‘yet again’, and it finished with the 5 wicket haul by Dale Steyn. South Africa break their jinx! Man, it’s been a long time coming, but SA have finally won their first test since re-admission, in what must be the most defining moment in Graeme Smith’s career! And what better way to get the victory than by debutant JP Duminy,who was fairly nervous during the start of the innings but kept his cool and hit the winning runs and got his first test fifty! Kudos to AB and Graeme Smith for great half – centuries! Hard luck for Mitchell Johnson, who came up with 11 wickets but nothing to show in terms of team performance! Perhaps where it went wrong for Ponting was the selection of Peter Siddle. Now I’m not trying to say that he bowled bad, but when you have a better bowler in Shane Watson, who bowled his heart out during the tour to India, why settle for second – best? 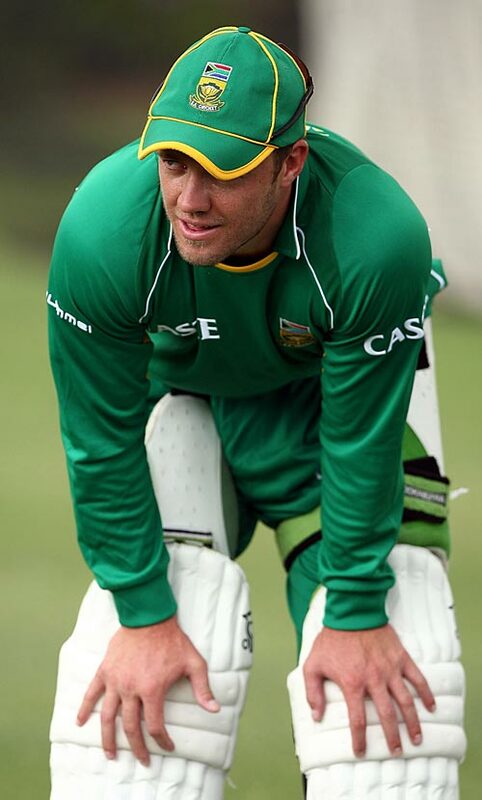 deVilliers and Duminy getting SA closer and closer……. As I write, AB deVilliers and debutant JP Duminy are inching SA closer and closer to their target (80 runs needed in 57.3 overs with 6 wickets remaining). This will, indeed, be historic in 2 ways as it will be the first win by SA in Australia since their readmission to cricket in 1991, and the second highest successful run chase in a test (the most successful, incidentially, was also against Australia, by West Indies in 2003, chasing a total of 418). In fear of jinxing SA, I’m winding up this post, hope to get back as soon as they…….